Carrier partners for HTC and their should-have-been-announced-like-two-months-ago mega phone, the One Max, have managed to avoid the leak train up until this past weekend. 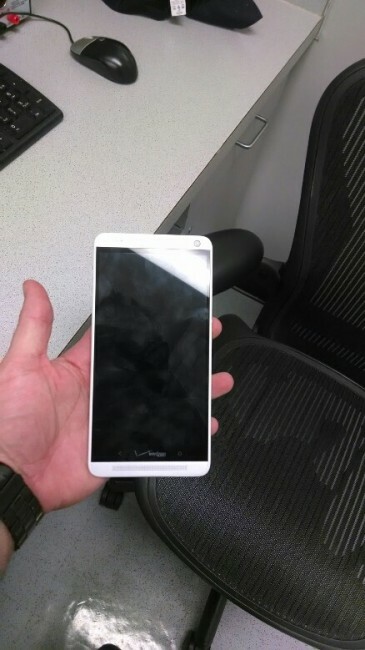 Thanks to an Android Central Forums member, we now know that Verizon will at least be one of them here in the States. 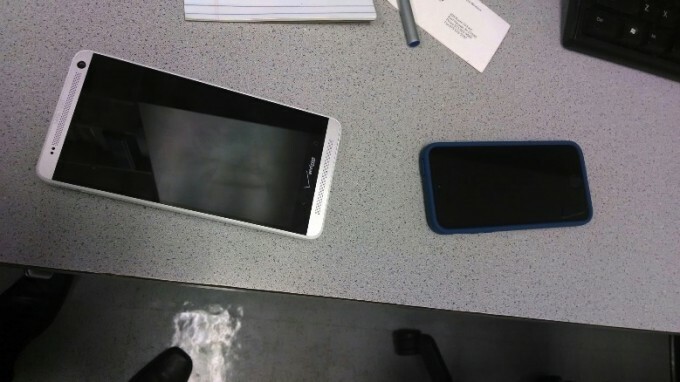 As you can see in the pictures we have included, the phone is as large as you would have expected, but also takes on a new design change that was absent with Verizon’s version of the HTC One. Yes, we’re talking about the “Verizon” logo placed front and center between the home and back buttons where HTC previously used their own logo. Other than that, nothing else is really new. The leaker claims that the phone will have a removable back and fingerprint scanner, two things we have seen pictured time and time again. The removable back seems odd, since HTC is incredibly fond of their aluminum unibody design on the One, but maybe a removable back has been a highly requested feature. The fingerprint scanner on the other hand is 100% expected, we just wish it wasn’t incorporated through a massive square on the back of the device. As much as we poke fun at Apple, at least they got the fingerprint scanned placement right with the iPhone 5s. To see how the One Max compares to the newly released Galaxy Note 3, hit up this post. So, Big Red customers, who wants one?